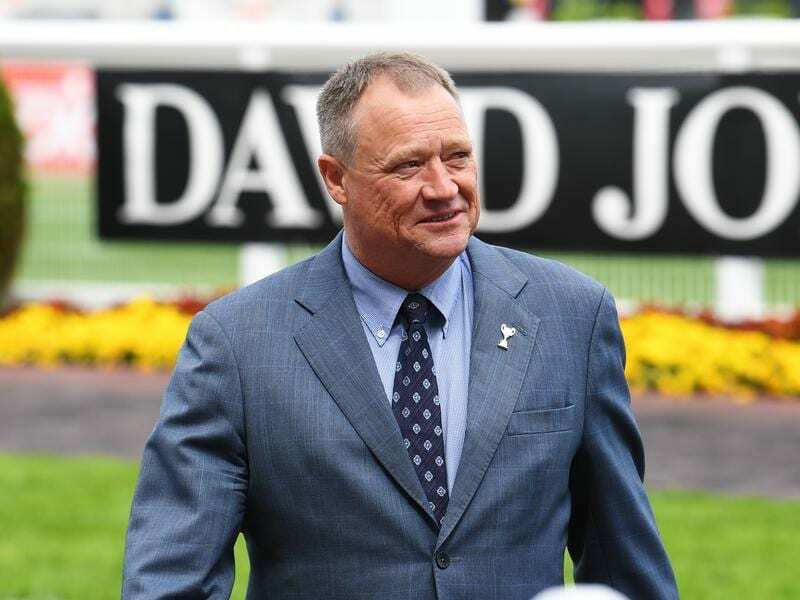 Tony McEvoy will join forces with his nephew Kerrin McEvoy in a bid for Victoria Derby glory. Victory by Farooq in the Victoria Derby will be a family first for the McEvoys. The three-year-old will be ridden by Kerrin McEvoy in Saturday’s Group One race at Flemington with the colt trained by his uncle Tony. Both are maidens in the blue riband event and the younger McEvoy says it would provide some extra satisfaction winning the race for family. “We’ve had a few opportunities along the way, not so many recently, but it’s always great to team up with the uncle and see if we can win a big one.” he said. A two-time winning jockey in the Melbourne Cup, that luck hasn’t been afforded to McEvoy in the Derby. He’s finished second four times, the first of which was in 2002 when beaten in a photo aboard Hydrometer by Helenus. A year later he was aboard Kempinsky who was touched off by Elvstroem. As stable rider for Sheikh Mohammed’s Australian team of horses, that later became Godolphin, he finished second on Induna in 2011 and Complacent in 2013. “Obviously the Derby is a race that’s eluded me having had four close seconds, so hopefully we can tick that box. McEvoy had his first ride aboard Farooq in the Geelong Classic (2200m) on October 24 where he finished second to fellow Derby aspirant Home Ground. The rise to 2500m is a question mark for all runners but McEvoy is convinced Farooq will stay the journey. “I’m happy with the barrier draw and this horse put up a brave effort at Geelong after doing a bit of work early,” McEvoy said. “They’ve all got to pass that test (2500m) but he galloped out strongly and another 100 metres he would have won the race.